Another sturdy and value-for-money printer designed to boost productivity in the office, the Epson AcuLaser C2800DN is a reliable, speedy, and user-friendly device that makes printing tasks much easier. However, some critics say that this bulky single-function device lacks essential office-friendly features. The Epson AcuLaser C2800DN is a secure, network-friendly device with IP filtering, so only specified users from a certain network can use it. Epson designed it to be secure and affordable to run by integrating it with AcuBrite toner and a 128MB Memory (expandable to 640MB). The Epson AcuLaser C2800DN prints using colour laser technology and weighs approximately 29 Kg. 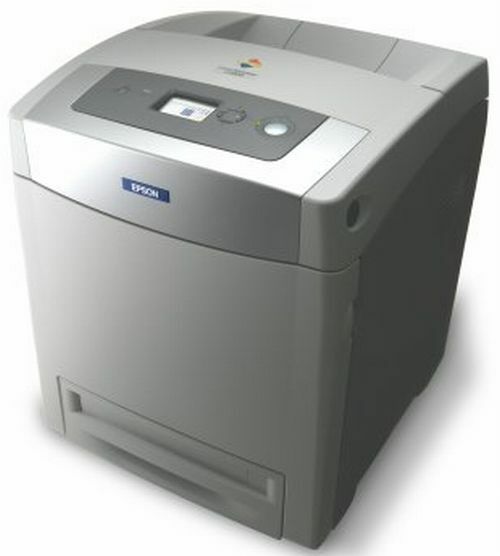 This speedy printer produces 20 ppm in colour and 25 ppm in monochrome. Warm-up time is fast, and the first page comes out in only 15 seconds. Though speedy, print quality is not sacrificed because of the revolutionary Colour 4800 Resolution Improvement Technology. The Epson AcuLaser C2800DN can handle high-volume printing with its standard 400-sheet paper tray, which users can upgrade to a 950-sheet tray. When the colour toner is empty, the Epson AcuLaser C2800DN automatically prints using black ink to minimise downtime. One of the main disadvantages of the Epson AcuLaser C2800DN is its size; it is one of the heaviest and bulkiest printers of its kind, being 57.7 cm deep, 40.8 cm wide, and 47.7 cm tall. Another drawback is the price, which is quite high for a single-function printer.